LONDON (Reuters) - Imagination Technologies (IMG.L) has been told by Apple (AAPL.O), its biggest customer, that the maker of iPhones, iPads and Apple Watches is to stop using its graphics technology in its new products, sending shares in the company crashing by more than 70 percent on Monday. Imagination said Apple, which accounts for about half its revenue, had notified the British firm it was developing its own graphics chips and would no longer use Imagination's processing designs in 15 months to two years time. "The biggest risk to Imagination's business model was realized this morning," analysts at Investec said. "The loss of this revenue stream will have a material impact on the financials of the company." The technology company, which was founded in 1985 and listed in 1994, has licensed its processing designs to Apple from the time of the first iPod and receives a small royalty on every device using its graphics. Imagination said it doubted Apple could go it alone without violating Imagination's patents, and analysts said legal battles could lie ahead. "It would be extremely challenging for Apple to design a brand new GPU (graphics processor unit) architecture from basics, that is, without infringing our IP rights and also infringing our confidential information," Chief Executive Andrew Heath said. "As such we do not accept their assertion that they no longer require our technology." 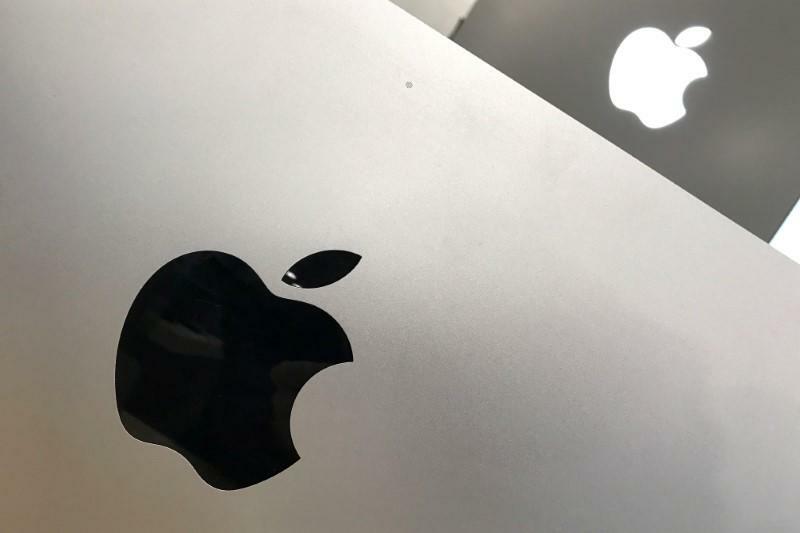 The company said it had asked Apple for evidence that it could dispense with all of Imagination's technology, "but Apple has declined to provide it". Shares in Imagination, in which Apple holds an 8 percent stake, plunged to 76 pence, their lowest level since 2009 and about a 10th of their record of 734 pence hit in 2012. They were down 64 percent at 97 pence by 1350 GMT, giving the company a market value of 275 million pounds ($372 million), or 479 million pounds less than it was worth on Friday. Analysts at Morgan Stanley said it was not the first time Apple had cut off a supplier - Portal Player, Sigmatel, CSR and Wolfson were all abruptedly dropped. "There is a difference here though", they said. "Imagination holds significant patents around graphics cores, in particular those which allow lower power use, and is considering discussing different commercial arrangements with Apple." Imagination's shares rose sharply between 2009 and 2012 as sales of smartphones boomed and Apple and Intel (INTC.O) bought stakes. The company was valued at more than 2 billion pounds ($2.5 billion) in April 2012. It struggled, however, to reduce its reliance on Apple, and has faced increased competition from the likes of chipmaker Qualcomm (QCOM.O) and British rival ARM, which developed its own graphics to complement its core processor blueprints. Imagination says it has just over 50 percent of the high-end smartphone market - nearly all of which stems from Apple, although MediaTek (2454.TW) also selected its graphics for its new chipset last month. But Imagination only has 7 percent of the market for mid-tier devices, where it has been trying to gain share, including in phones made by Chinese manufacturers. Imagination said it would talk with Apple about alternative commercial arrangements. Analysts said there could be room for compromise, and it could even be a bargaining move by Apple to reduce royalties. Apple paid Imagination license fees and royalties totaling 60.7 million pounds for the year to end-April 2016, half of its total revenue, and is expected to pay about 65 million pounds for this year, Imagination said. Most of its costs are incurred in developing technologies years ahead of when they are deployed in products, and it said there were minimal direct costs associated with Apple's revenue. Around half of its non-Apple revenue comes from the MIPS processing platform it bought in 2012 in an attempt to extend its product line-up beyond graphics. Customers for the MIPS technology include Israeli automated vehicle driving systems specialist Mobileye (MBLY.N) and Chinese chipmaker Spreadtrum Communications, according to analysts.